UPDATE: Just so you are aware, I stopped making and drinking ketofood back in January 2015, the grit was too much. Since then I moved to Keto Chow. This is a fixed version of Ketofood. You can find this exact recipe in MyFitnessPal as "Quidnyc - Ketofood for Ongoing Ketosis 1.2" You can find this pre-mixed (and in samples) at https://www.thebairs.net/product-category/ketofood/ - It should also be noted that the prices (current 2014-12-05) and rather large packages are to minimize cost. Often you can find a much smaller package (500g instead of 10 pounds) for less. I have 4 oils listed here: MCT, Canola, olive and Liquid Coconut. Feel free to use whichever combo you'd like. QuidNYC specified MCT and Olive (but I can't stand the taste of olive). I used to use canola but I'm currently experimenting with the liquid coconut oil instead. It's not as beneficial as straight coconut oil but that stuff is solid at room temp and really solid when mixed into a refrigerated liquid. Anyway, I've "removed" the canola by setting its amount to 0, that way it's still available if yo'd like to zero out the coconut and add back in canola, or whatever other one. v1.1 I corrected the Coconut Flour information: there were significant problems with the carbohydrate totals (fiber was more than total carbs which simply isn't possible). 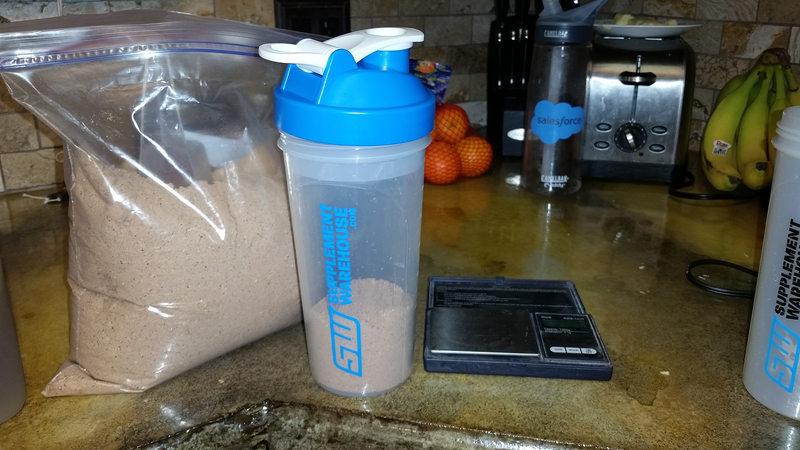 I also fixed the Salt info and pulled in the data I had for NOW Whey Protein Isolate. * Percent Daily Values are based on "chris.bair's Keto ". You may use the Nutrient Calculator to personalise your own profile, then select it from the list on the Recipe Editor tab.